A new cooperation includes German premium car manufacturer Audi in the upcoming EHF FINAL4 event. Vienna, 03 May 2010 – EHF Marketing is proud to announce the cooperation between the German premium car manufacturer Audi for the upcoming EHF FINAL4 event. The top men’s club handball event of the year, the newly introduced EHF FINAL4, will take place on 29-30 May 2010 in Cologne, Germany. 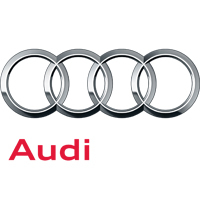 EHF Marketing GmbH has agreed a significant package of support with Audi Deutschland Region West given by the luxury carmaker for the organisation of the EHF FINAL4. Based on this deal, a fleet of Audi cars will be in service during the top event. As the official VIP Shuttle Partner of EHF FINAL4, Audi will provide 18 Audi A8 limousines and four Audi Q7 sport utility vehicles. This fleet will ensure a highly elegant and reliable transport service for a high number of VIP guests during the tournament. EHF Marketing GmbH is the marketing arm and daughter company of the European Handball Federation. The agency works closely with marketing and media partners, as well as with Europe’s leading clubs to realise the full potential of the sport on the international sports market. EHF Marketing GmbH is responsible for the marketing and media rights of the Men’s and Women’s EHF Champions League.